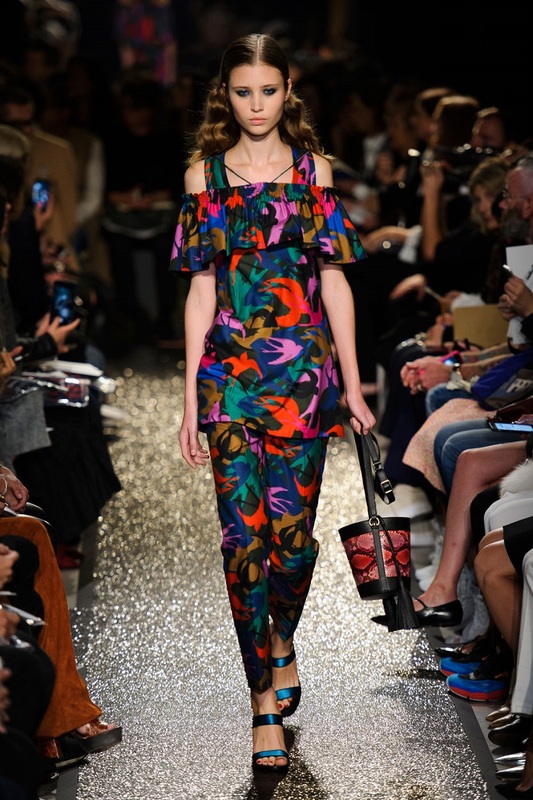 This week, MATCHESFASHION The style report put their spotlight on the graphic prints on the runway. From high-impact checks to supersized stripes, Let’s enjoy an instant style lift via SS16’s punch-packing prints, and see the styling tips to find out how to wear the fantastic graphic prints. Shop the graphic printed collection at MATCHESFASHION. 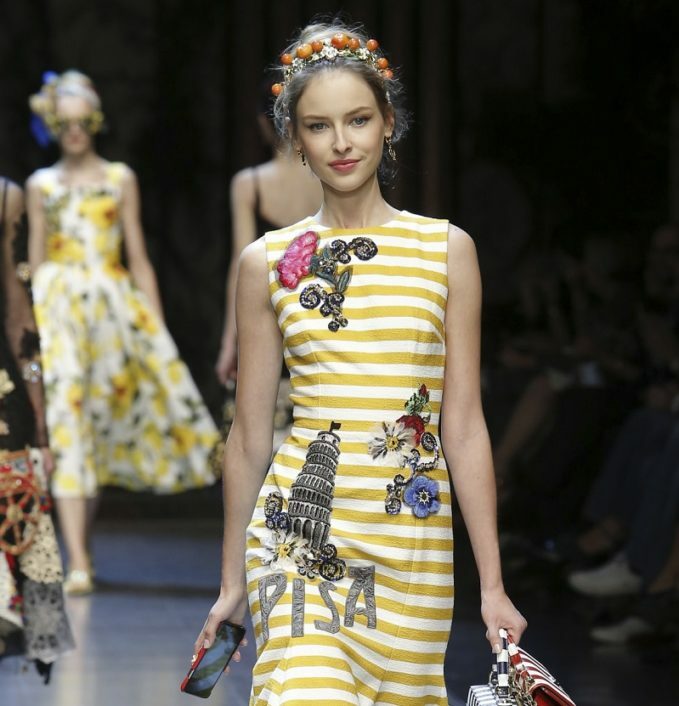 Dolce & Gabbana’s dress will add a dash of optimism to your wardrobe, with canary yellow stripes and embellished accents. Continue the colour theme with coordinated accessories. 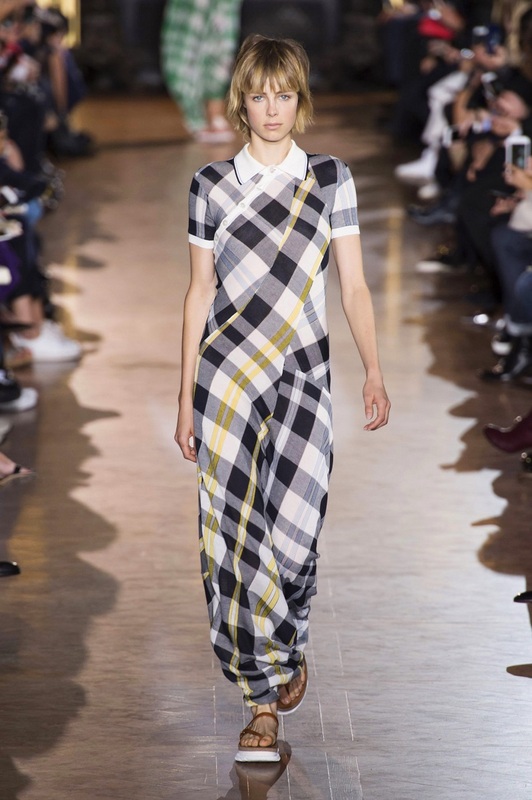 Stella McCartney’s skin-skimming graphic checks have a sports-inspired feel. Keep it low-key with platform sandals by Joshua Sanders and subtle, sculptural jewellery. Max Mara mixed stars and stripes in an Americana-inspired collection. Punctuate the fun print with simple, black separates – Bottega Veneta’s block-heel sandals will finish the look. Head-to-toe camouflage print is easier than it looks; opt for a streamlined silhouette, as seen at Sonia Rykiel, and a pair of high heels. Let the print do the talking, and keep jewellery to a minimum.